www.searchingforreason.net : Presumptive Nominee. CONGRESSIONAL CANDIDATE MAURA SULLIVAN. Presumptive Nominee. CONGRESSIONAL CANDIDATE MAURA SULLIVAN. David, look what we have accomplished together! 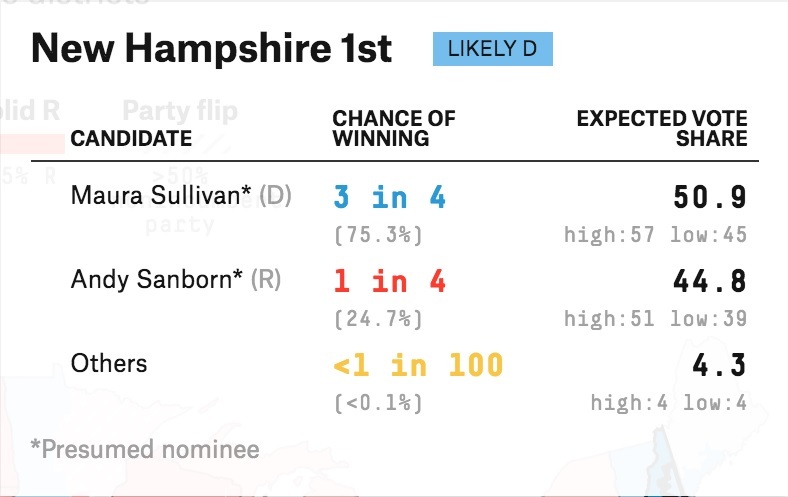 FiveThirtyEight Politics just published their new forecast for House races across the country and not only are they predicting an incredible blue wave this November, but they've listed Maura as the presumptive nominee for NH-01! We still have a long way to go to ensure that Maura is the Democratic nominee on September 11th and we need all your help to get there. If you haven't seen the report yet, take a look! ...turn Nate Silver’s prediction into reality!